Dr. Ubelaker and a Smithsonian Institution colleague, Douglas W. Owsley, Ph.D., went to Waco to assist the inept Dr. Nizam Peerwani with the recovery of the bodies of the Branch Davidians. Mr. Jahn: Do you recall that there were anthropologists that were sent down from Washington, D.C. from the Smithsonian Institution in help in the recovery of some of the bodies? Dr. Peerwani: Yes. It was at our request that there were two anthropologists from Smithsonian. Mr. Jahn: And these were people with a certain amount of expertise in recovering bodies, I guess, that may have been buried or in stages of decomposition or what? Mr. Jahn: And those were people that you had requested to have even a further degree of expertise than you and your time, is that right? Note that Mr. Jahn does not mention that Dr. Ubelaker is a "top consultant" to the FBI when he is questioning Dr. Peerwani before the jury. The affiliation of the Smithsonian Institution experts with Dr. Peerwani added authority to his upcoming testimony, but the experts themselves were not called to testify, and not placed under oath. This meant, should Dr. Peerwani make any perjurious statement during the trial, the responsibility would fall squarely on his shoulders alone. Perhaps this is the place to say something of Dr. Ubelaker's background and aspirations. As a young man, he was against the Vietnam war in principle. He says his attendance at graduate school was cut short by a large woman from his new draft board who told him fall in line with the other boys and get his physical. Despite his objection to the war, "I did as I was told," he says. As a draftee, he was chosen for the Army military police, and then was assigned as a microbiology technician in the military hospital laboratory (Ubelaker, pgs. 47-48). Dr. Ubelaker is an admirer of his predecessor at the Smithsonian, the late Dr. Larry Angel. 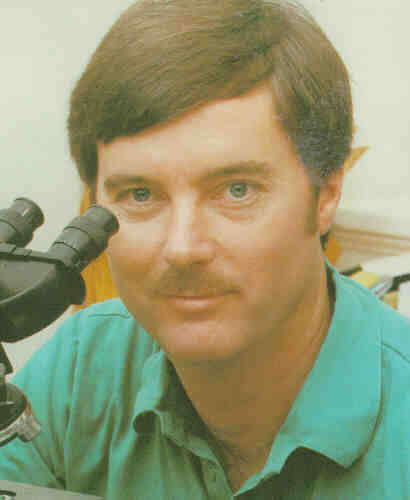 Dr. Angel, who also worked closely with the FBI, received a review letter from the FBI in 1977 which said of him that although "his primary interest is not in forensic work, Dr. Angel's endeavors in this field have enabled him to report findings that were initially missed by pathologists, coroners, and local physical anthropologists." Reflecting upon that commendation, Dr. Ubelaker says: "Someday my own files will come to rest in the same archives, near or beside Larry Angel's. I'd be pretty proud if they contained the same kind of letter. It's not a bad way to be remembered." (Ubelaker, pg. 25). Dr. Ubelaker is obviously not a man who creates waves. He is a man who values and perhaps even seeks the approval of the power structure. See Cover-ups, Politics, and Forensics for a discussion of the political pressures brought to bear on forensic experts. Most Autopsy Reports of the deceased Branch Davidians cite Dr. Ubelaker's name, or that of Dr. Owsley, as having done the anthropology examinations. We might expect that these renowned scientists would impart the rigor of their discipline to the recovery of the bodies and the solution to the murders. After all, at least 76 Branch Davidians, including at least 24 children, died on April 19, 1993. The world's top law enforcement agency, the FBI, Dr. Ubelaker's regular client, had publicly accused David Koresh of child abuse; the FBI accused Koresh's followers of shooting fellow Davidians to death; and the FBI also asserted that Davidians started the fire on April 19 that allegedly killed so many others (i.e., homicidal arson). Nine Branch Davidians had survived the fire. Arguably, one or more of the survivors were guilty of murder. "A smart detective knows how much may be learned from the environment in which a body has been found …" (Dr. Douglas Ubelaker, Bones, A Forensic Detective's Casebook, pg. 105). As experts in forensic anthropology, we might expect Drs. Ubelaker and Owsley to apply the highest standards of their profession to one of the highest-profile outrageous mass murders in American history. In short, we would expect to see that these top forensic experts would want to have their names associated with the finest possible forensic work in this renowned crime scene and criminal investigation. In the following pages, we will see what happened instead. Next: "They died when the bunker collapsed …"